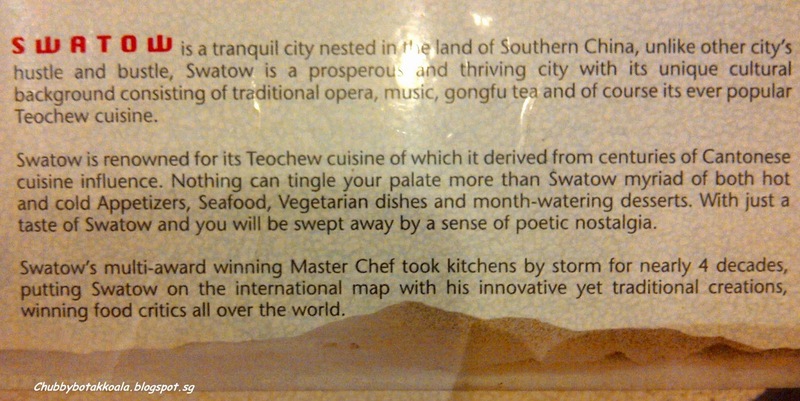 As my mom-in-law is a Teochew, we have decided to go to Swatow for her birthday. Located just beside Toa Payoh public library, this restaurant mainly cater for the heartlander. The design of the restaurant is very traditional with gold and red as their main color theme, portraying through their wall paper and table cloths. 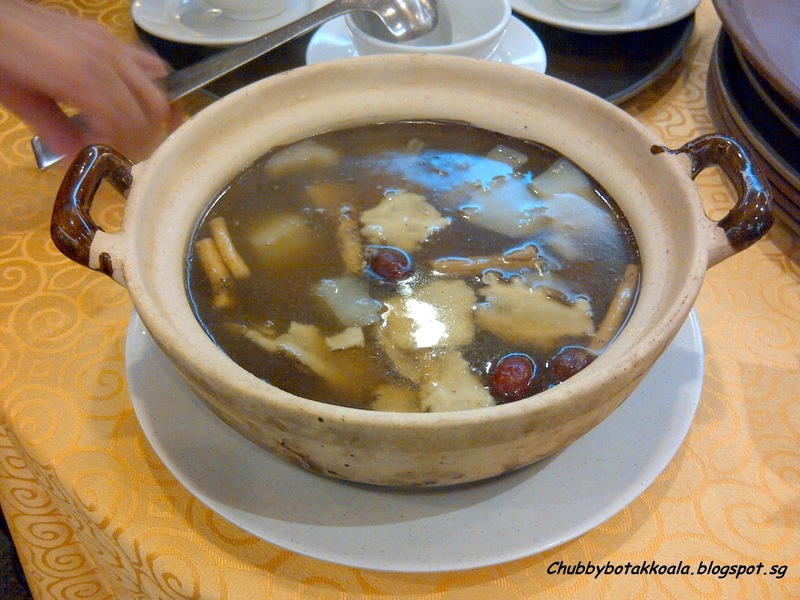 To start the meal, we have Shark's Cartilage Herbal Soup ($24). 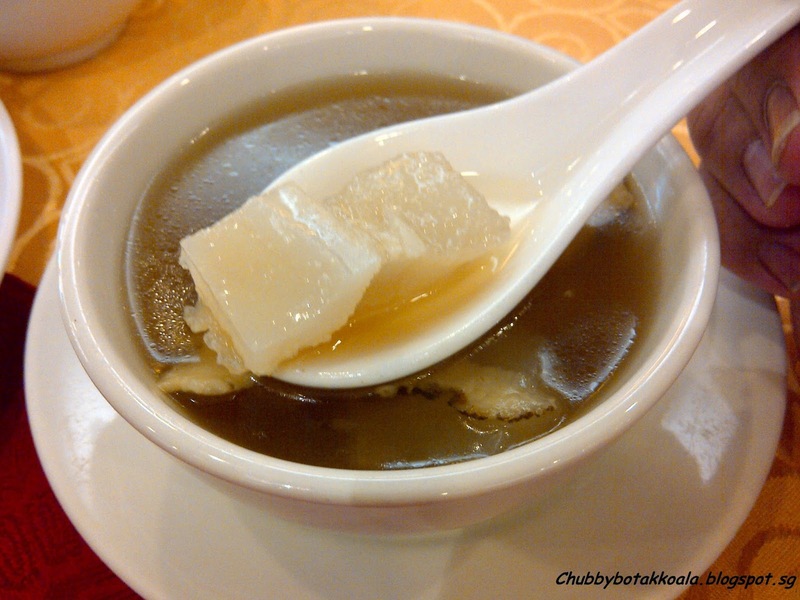 The shark cartilage is cook with herb such as danggui, ginseng and red dates. It taste quite robust with a bit of bitter taste from the ginseng and danggui. Next, the Braised Sea Cucumber ($24) and Deep Fried Crispy Pig Trotters ($28). 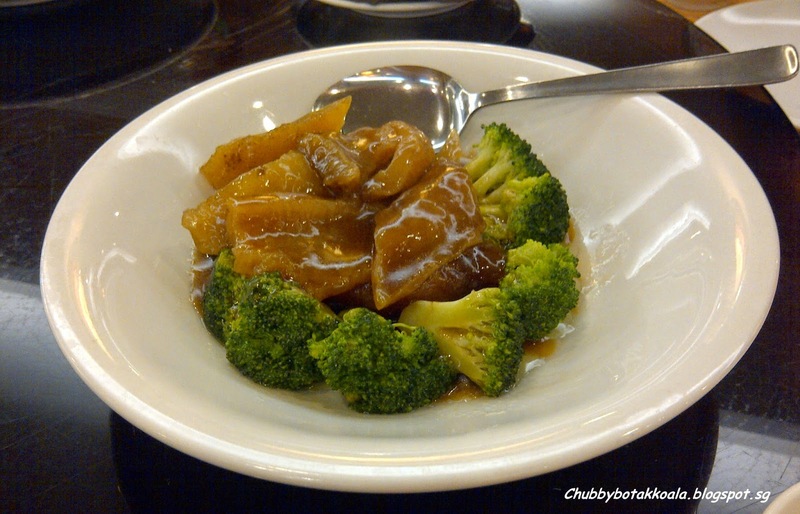 The braised sea cucumber is springy and quite generous in portion. The gravy is rich and goes well with the broccoli. The pig trotters meat is tender and the accompanying gravy is nice. However, the crispy skin part is pretty disappointing as there is no crunchiness in it and it is very thin. 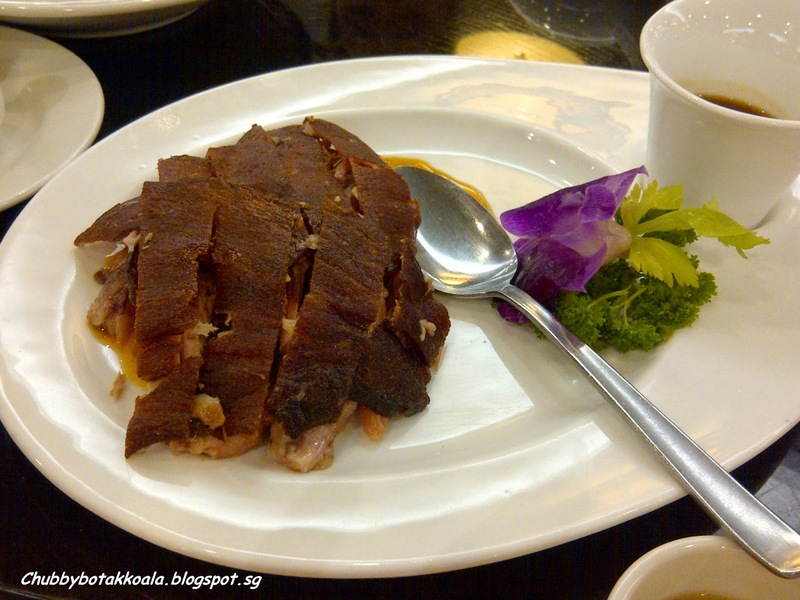 The Fried “O Luat” Teochew Style ($30) is something you must try. 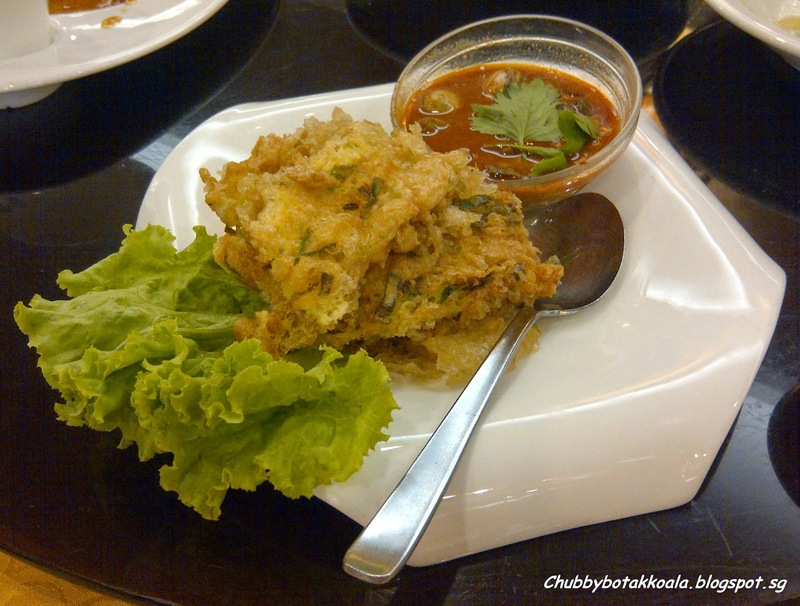 They fried the eggs and potato starch until the form a crispy pancake, then topped with the sauce with oyster in it. What a crunchy goodness. Yummyyy. Golden Sand Prawns ($30), or also known as salted egg prawns. 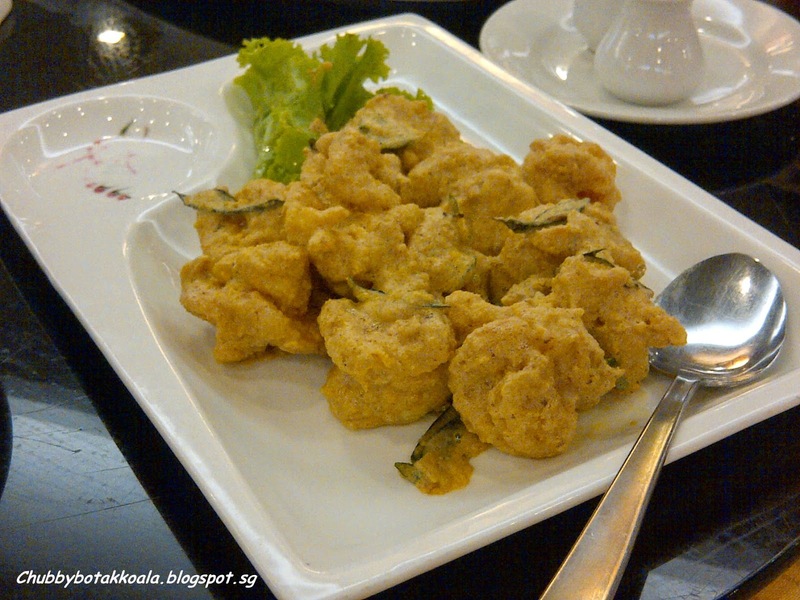 The crispy prawns nicely coated with salted egg sauce and curry leaves. It has a nice texture and good combination of salty and sweet. 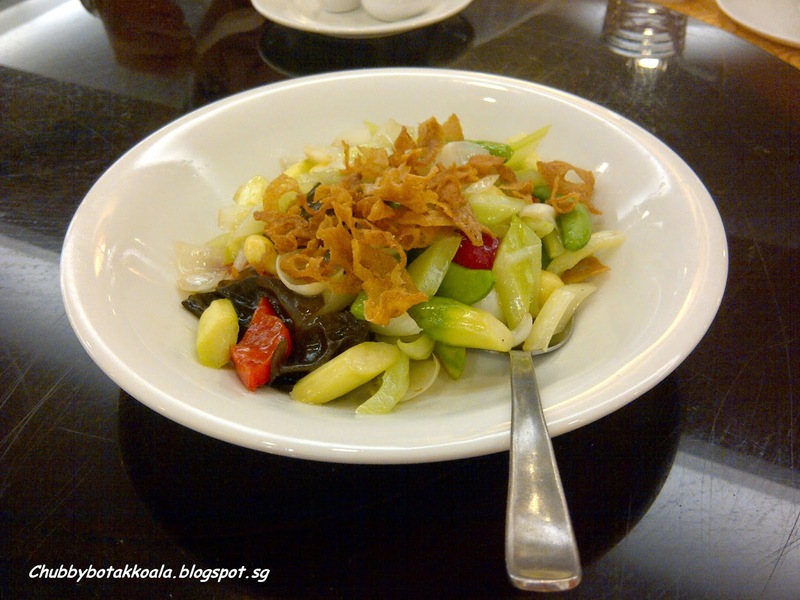 For vegetables, we had Braised Eight Treasure Vegetables ($16) and Stir Fry Teochew Vegetables Delight ($18). 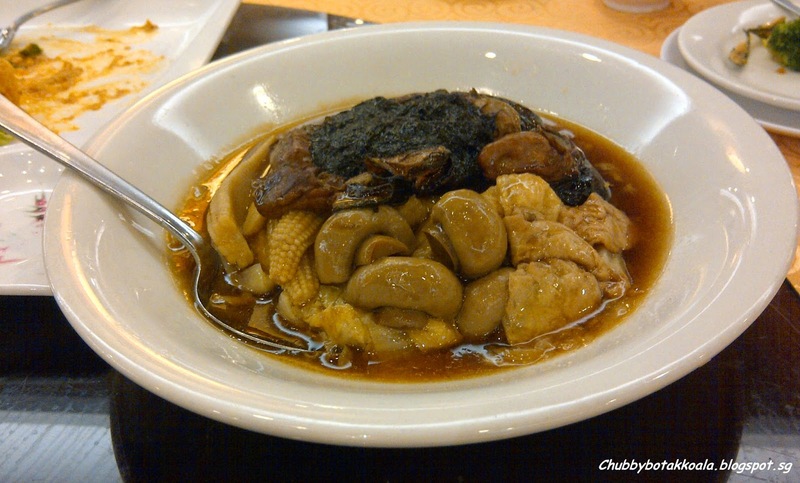 Braised Eight Treasure Vegetables consist of eight ingredients which include Fa Cai and dried oyster. The gravy is rich, robust and compliment each ingredients nicely. The Vegetables delight looks simple yet full of flavour. It is clean, crunchy and refreshing. 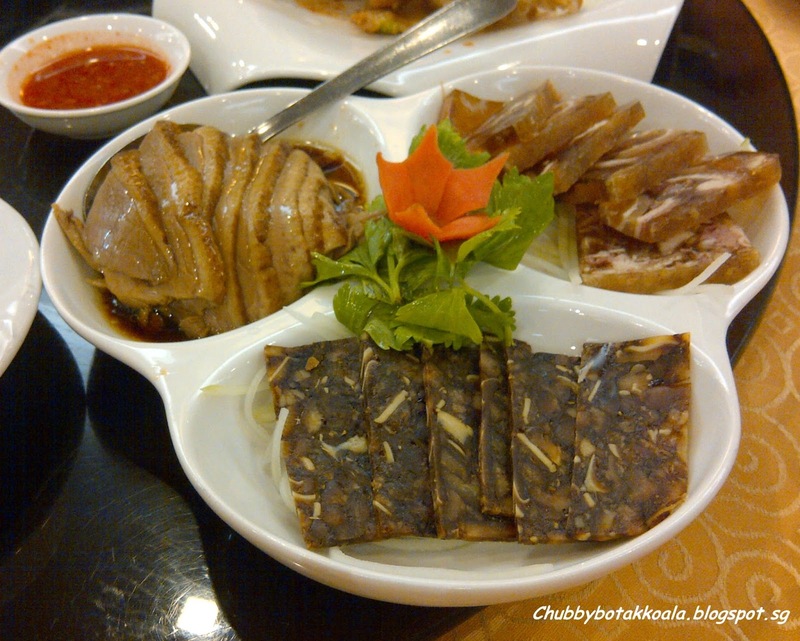 Braised Meat Varieties ($24) which include braised goose, and 2 types of pork jelly (terrine). The goose is good and the braising allowed the sauce to absorb into the meat. While the 2 types of terrine are acquired taste. It is gooey, tasty and crunchy. Slightly harder then what we prefer. According to my mom-in-law, the ones at Hong Lim Market tasted better than Swatow, so better to just go for the goose than the Briased Meat Varieties. Of course, a birthday dinner will not be complete without Longevity Noodle ($18). 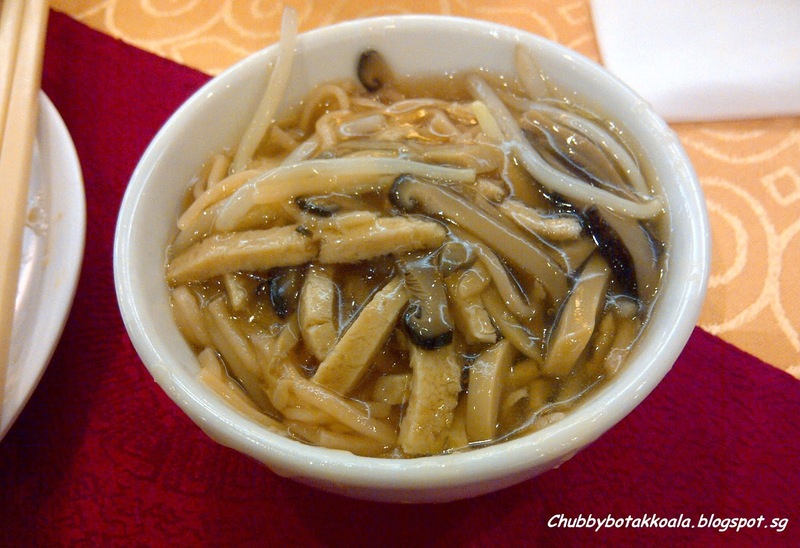 Simple noodle dish with mushrooms gravy and crunchy bean sprout. It is robust and full of flavour. 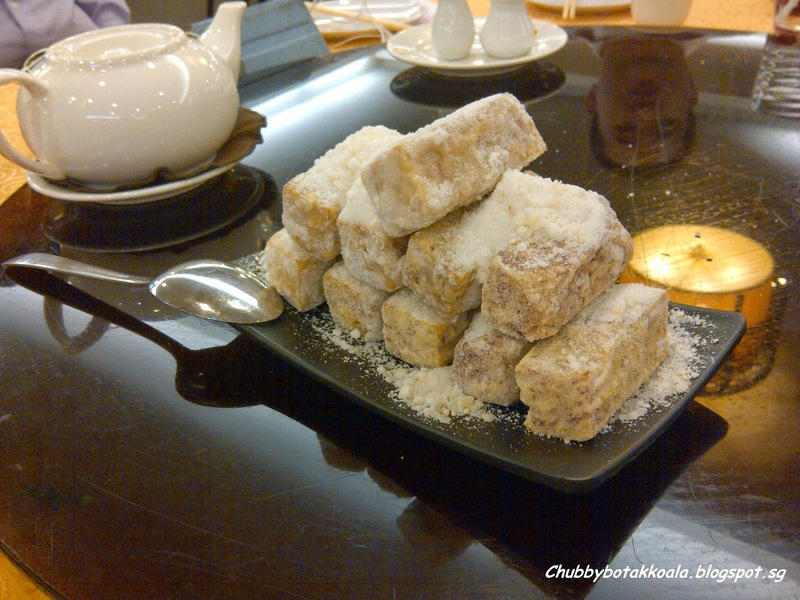 For desserts, we have Sugar Coated Yam Bar ($16). Crispy fried yam block, coated with fine sugar. It is hot, sweet, unique and Yummyyy. 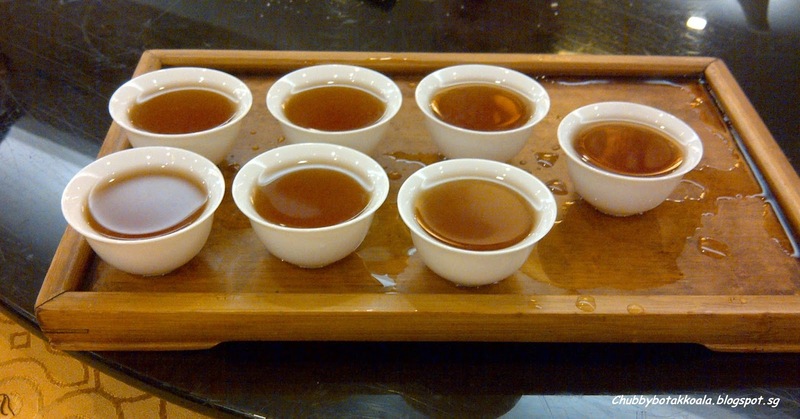 After sweet desserts, in a typical Teochew style, we end the dinner with Kung Fu Cha. Service is average, and understaffed also does not help with the situation. The interval between food also inconsistent, and you can wait a while before you food come out. As the restaurant is located on the second floor, they provide a lift for disable and elderly to get to their restaurant. 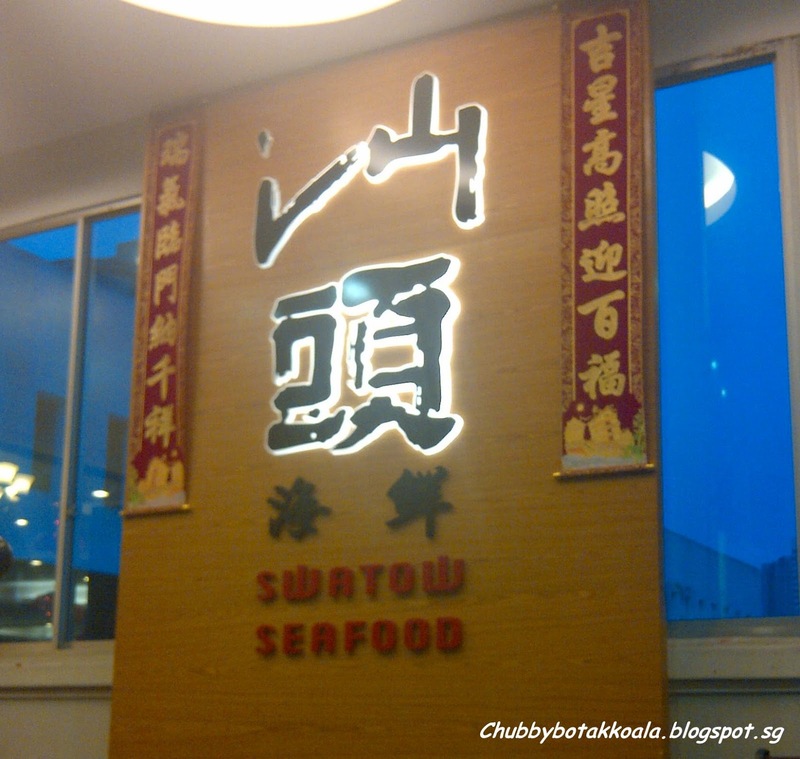 Overall, Swatow serve a traditional Teochew dishes. The food quality is good but the service can improve. We won't mind coming back in the future for some chow. Cheers!! Op Hours: 8.00 – 22.30 Daily.